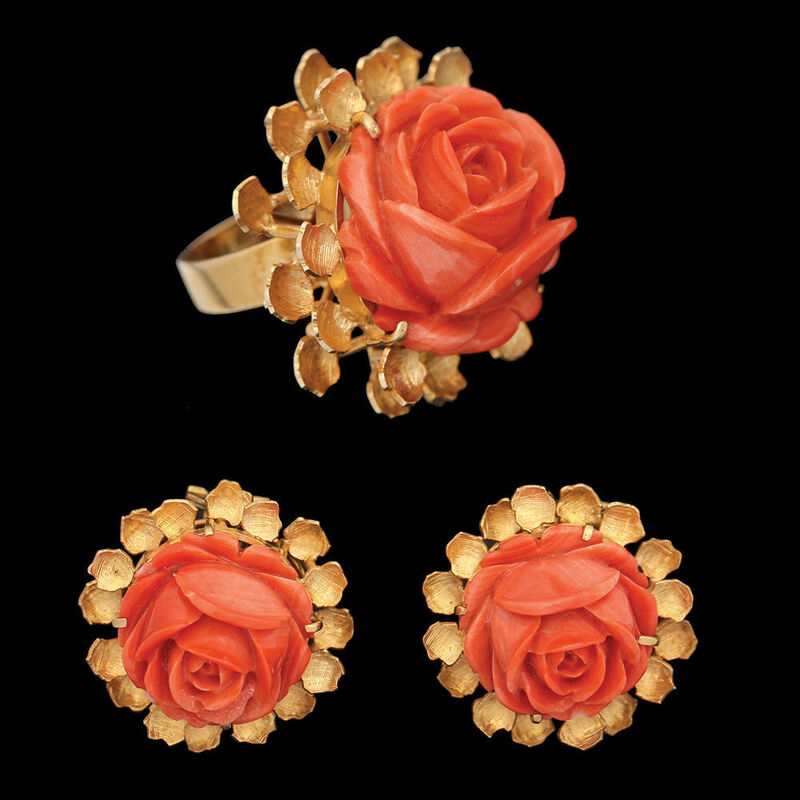 gold frame composed of 3 layers of gold leaves, set with a central large coral carved as a rose flower. Weight of set is approx. 32 grams.